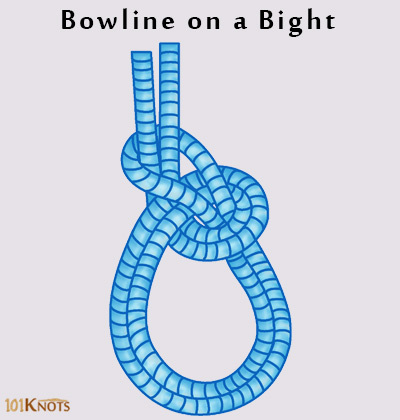 Bowline on a bight (referenced in The Ashley Book of Knots) creates a secure loop in the middle of a length of rope. 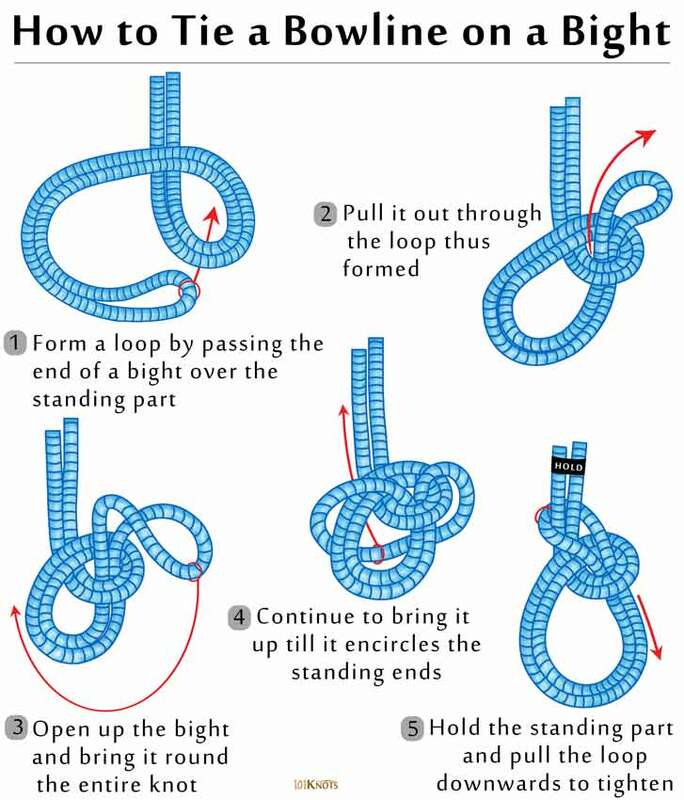 It is a variation of the bowline knot that looks similar but is made with a single strand of rope. If you want to make a dependable loop when neither end of the line is available, this is one knot you can vouch for. When tied to a climbing harness its ability to easily untie after a severe fall makes it score above the figure eight knot. However, it should be protected further with powerful backup knots with long tail ends when used such. Forms a secure toe-hold at the middle of a rope while climbing. To make an emergency Bosun’s chair. Commonly used as a seat for hoisting purposes. The double loop distributes the load making it popular among cavers. Allows a free-hang descent. Can be easily adjusted to avoid rub points and waterfalls.